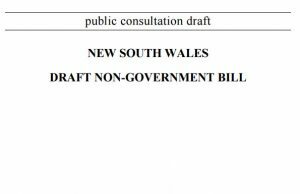 Palliative care professionals have presented a united front against proposed voluntary assisted dying legislation on the eve of debate in the NSW Parliament, declaring the bill “cannot be made safe”. The objections ranged from the risk that should the bill pass there was no guarantee eligibility would not be later expanded to the safeguards being “a bandaid on the danger of the situation”. Palliative care specialist Dr Frank Brennan said “too often the debate is characterised as a simple choice between suffering and choosing physician assisted suicide or euthanasia”. He said the choice was “a false one” that ignores “the enormous advances” had been made in the area of treating human suffering. Dr Frank Brennan says his experience is that patients experience “the ebb and flow of feelings” and that “people change their mind”. “A day of anguish may be followed by a day of calm,” he said. “To proceed with physician assisted suicide or euthanasia in a period of despair ignores this ebb and flow”. Dr Alan Oloffs from Nepean-Blue Mountains local area health district, highlighted a recent auditor-general’s report that identified “significant gaps in provision” especially in rural and remote areas. The clinical director of palliative medicine at Royal Prince Alfred Hospital, Dr Maria Cigolini, said the group believed the proposed legislation is “not safe and we believe it cannot be made safe”. Asked why a terminally ill person should not be given the choice of how they die, Dr Maria Cigolini argued the “majority of people who have the desire to die” are depressed, feel they are a burden to others or are unsupported. “When those people are managed appropriately and are … sent to the right services … particularly palliative care and mental health services, that desire to die changes dramatically,” he said.